Traditional popular seaside entertainment. Fun interactive Punch & Judy Show.. The performance consists of a sequence of short scenes, each depicting an interaction between two characters, most typically Mr. Punch and one other character. 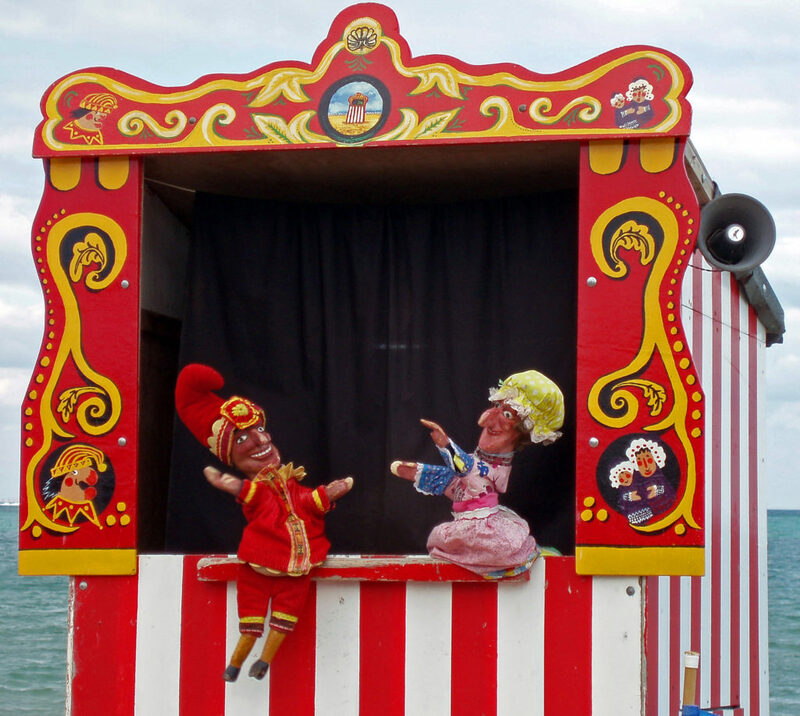 The various episodes of Punch and Judy are performed in the spirit of outrageous comedy—often provoking shocked laughter—and are dominated by the clowning. Great accompaniment a Seaside/ Beach theme.